Vacuum Pack - don't play! 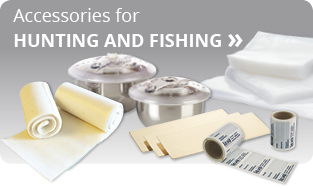 Vacuum Sealers from Germany, best rated by leading magazines and specialists. 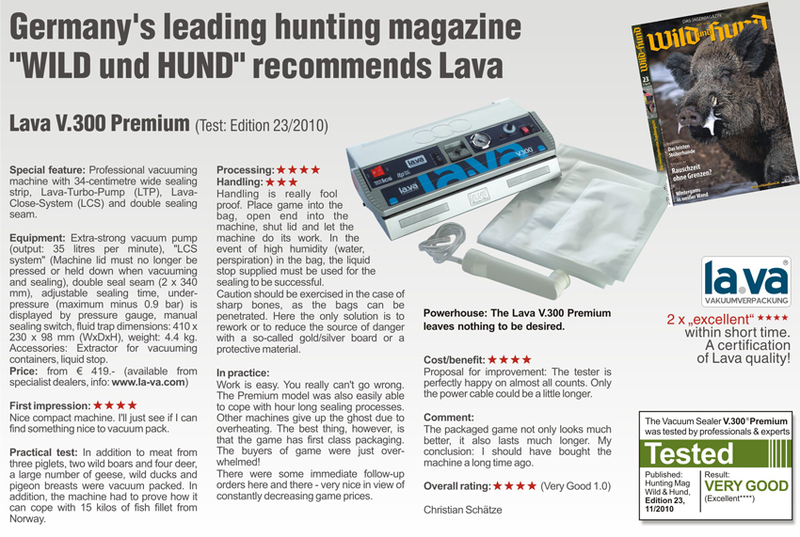 Hunters and fishermen use Lava since many years for professional Vacuum Packing of game, meat and fish. You will love the result: no overheating and up to 3 sealings in one time. Vacuumize within seconds a haunch or back of a deer, Vacuum Pack a whole fish or filet to keep it fresh in your freezer, up to 36 months, without any freezer burn. Eat and sell delightful, fresh, vacuum packed game and fish the whole year and not only in hunting and fishing seasons. 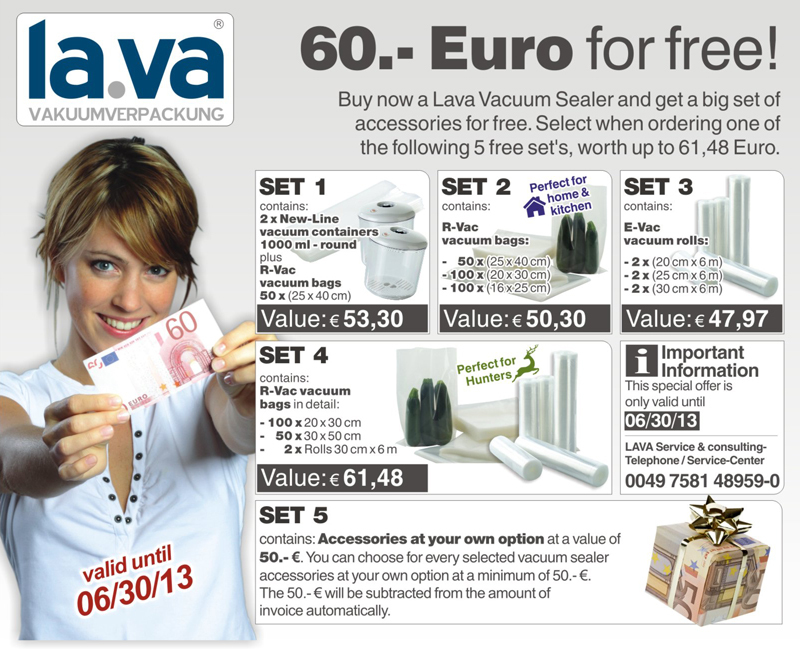 You can count on a Lava Vacuum Sealer, for playing use other machines!. 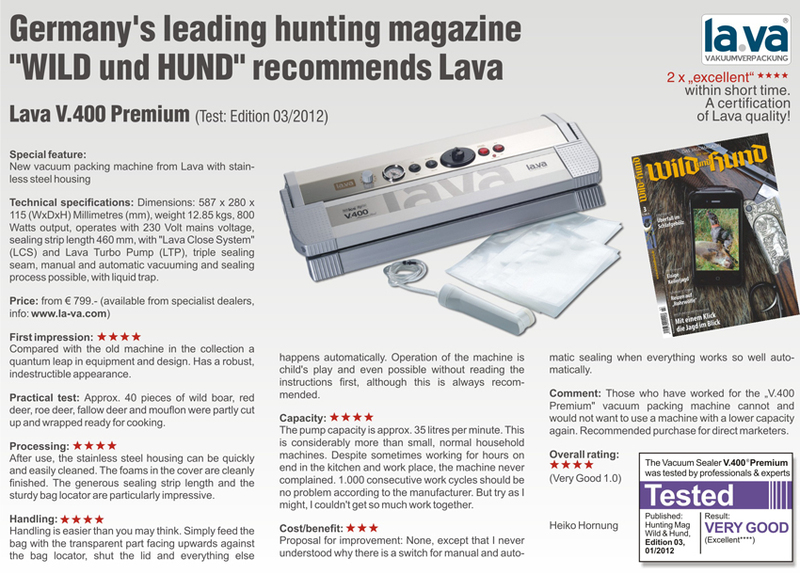 The Bestseller model in hunting and fishing sector. Full-Automatic professional Vacuum Sealer with pressure indication by a dial gauge and variable pressure control for soft vacuum, adjustable sealing time and removable liquid trap. Available with single or a strong double sealing. variable pressure control for soft vacuum, adjustable sealing time and removable liquid trap. Available in silver & black/chrome. A proverb says: "The shooting alone does not constitute the hunter" Because hunting is a lot more, from the wild to care for decomposing the prey. 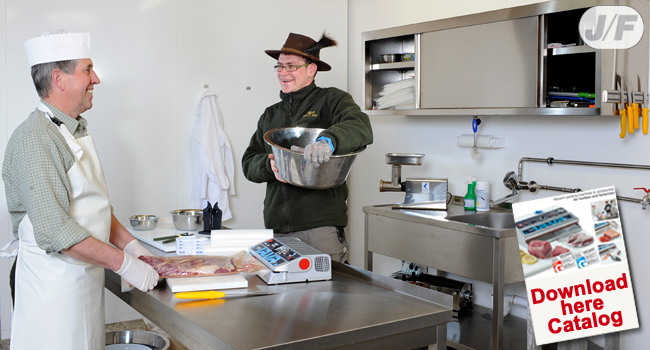 Whether intended for home consumption or sale, portioning and storing of game meat hygiene is paramount . Thanks to high-quality professional pump and technically superior components a Lava vacuum sealer, it protects the meat from moisture and the access of microorganisms. This extends the shelf life naturally. The vacuum saves the unique wild taste, even in the freezer and for up to 3 years. Thus, no more stress comes on eve of public holidays or peak periods, where venison is particularly in demand at the end user. When vacuuming the back and pointed pieces of bone bone protection linen and salmon boards ensure that there are no holes in the vacuum bag arise. 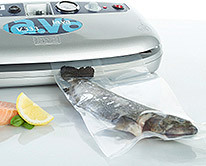 Speaking of fish vacuum sealing on the salmon board of course also makes it excellent for fresh or smoked fish to storage and freeze- proof and for all anglers applies: Fish remains fresh with a Lava vacuum sealer vacuum packed up to 7 days in the cooling and in the TK chest even up to 3 years. Petri Heil!